T-J's pizza is a family owned and operated business established in 1987. After being out of business for over a year, we reopened at our new location as of May 2013 (right across the street from old location). 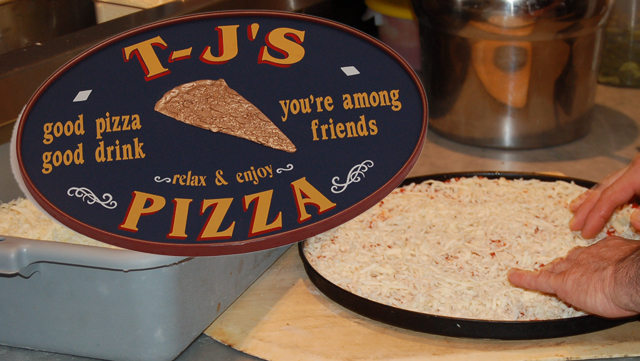 At T-J's, we specialize in all types of homemade gourmet pizzas, subs, salads, wraps, and more!